I saw someone with this hair (adult version) and thought it looked pretty. Then I got bored and made it for my sims. I havn't uploaded anything here for ages. You don't need a mesh for this to work. The hairstyle changed teen-adult, it's grey for elder. ::smilieiforgetwhi:: YOU MUST NOT UPLOAD THIS TO THE EXCHANGE OR ANYWHERE ELSE. In england, you could get a shirt similar to this one, with the bra printed on it. The trousers have a pink edge, white shoes and pink laces. The hair has a little pink hat. Thanks to XPTL297 for making the mrs crumplebottom hat availible. You'll need nightlife for the hat to work. Enjyou and please please donate to breast cancer charities near you! I created the texure from nothing! Do not use on a custom sim without credit! The elder hair is slightly lighter than the teen-adult hair. Yay! 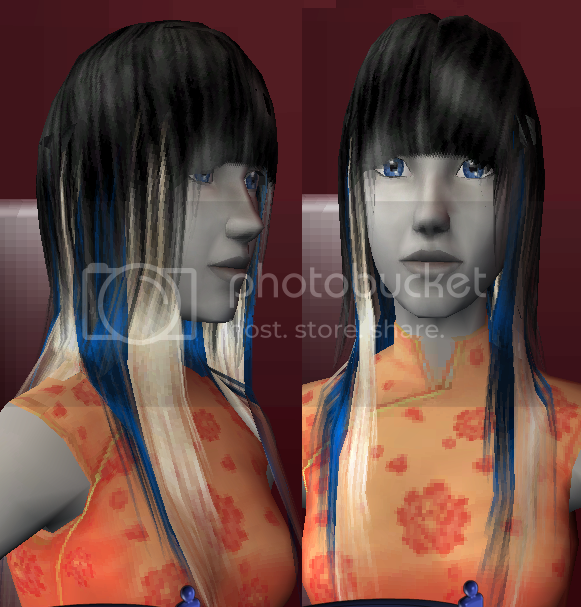 I managed to *FINALLY* create a shiny hair texture! Ahhhh now I know how to make my own hair texture (using motion blur...) and I want to know how to make it look shiny at the top like real hair. I see there is only one other video! Here is one I created myself. Its about a teenage spy girl who is on the way to the prom and her enimies come and take her prisoner, shooting her date. Can she get out? Please watch, rate and comment, this is my first movie, is it any good? Its a little cropped top thing and lacy boy-shorts! Do not pass off my hard work as your own. 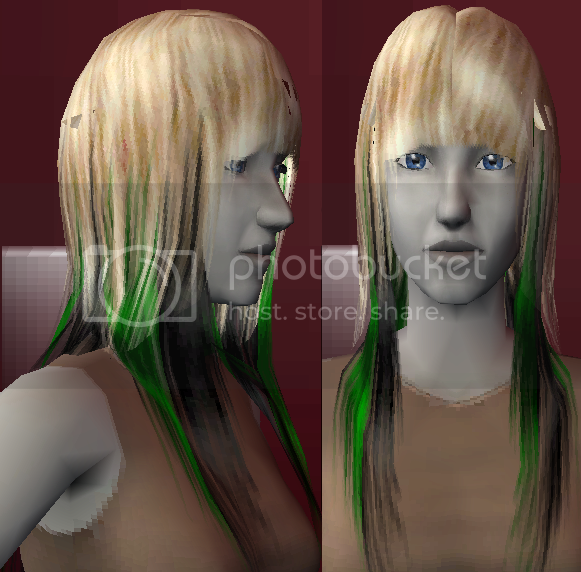 You may use the content on a custom sim on ONLY www.insimenator.net or www.modthesims2.com and credit me, by my name! These are people who are Half Killer Whale, Half Human. There is a body for every age. You must not upload to the exchange. Do not use on a custom sim without credit. You may only use on custom sims on www.insimenator.net and www.modthesims2.com and give me CREDIT! Inspired from an underwear set I saw in my local marks and spencers store, I created a sleepwear set. In real life, the fabric is more of the colour of the night dress. Use on a sim on a site other than this one (www.insimenator.net) or www.modthesims2.com and if you use it, you MUST give credit. Yes, that means my name. I will get a better pic soon! I made these aaaaaaaaaaaaaaaaaaages ago and I decided to share them with you! You can not upload them to the maxis exchange. Do not say that you made them. Some classical nightgowns for teen girls. The colours are white and pink, with puffy sleeves effect. They have little slippers and look great in game. I will upload in game pics soon! Perfect for any style, all sims will love them :iconbigg:! Do not say they are yours. Do not copy the textures. For teens and elder females. I was requested for teens so I did them..and for elders as well. I re installed the FFS pack to play around with the textures and thought the hawaii togas would look cute on Marvine's amazing mesh! Credit for mesh goes to marvine!! 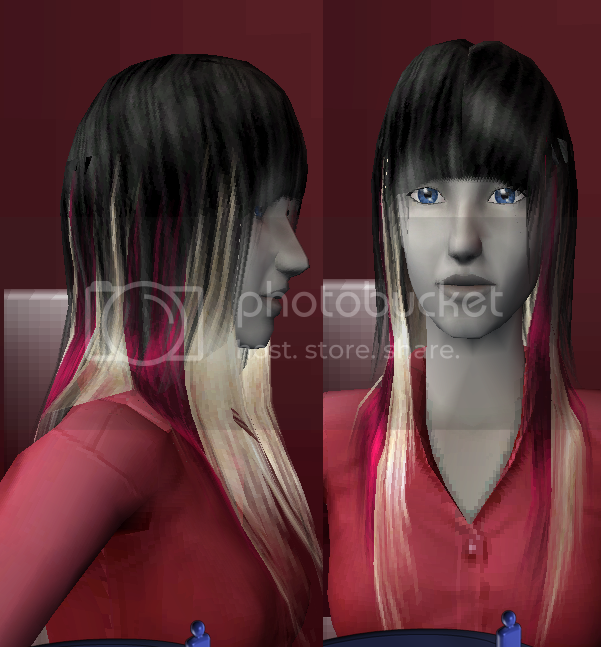 Do not upload these recolours to the exchange, use on a custom sim without credit or pass off as your own!